I saw something yesterday about VHS tapes, and after I stopped chuckling to myself, it got me walking down memory lane about TV’s. And how much television has changed since I was a child. 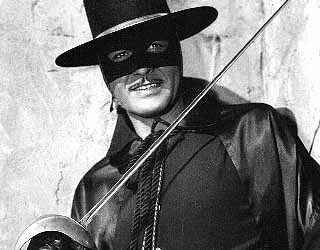 My first crush was on Zorro. I mean, COME ON. How could a young girl NOT be attracted him?! I remember Mighty Mouse….my favorite cartoon. I remember little box TV’s…I remember having to adjust the antennas, then foil on the antennas. I remember the drudgery of having to get up and change the channels before remote controls were invented. Later, fighting over which show to watch. I remember later, when married, when ON TV came; it was the first (pay) subscription TV. I remember getting sports games of local teams, even hockey, which was very rare in Los Angeles back then. Of course I remember using VHS tapes to tape programs. Later DVR’s. And now, hubby and I are pretty avant-garde; we have ditched DirecTV and are using a Roku device to get PS Vue. It’s a cloud-based system. We also stream Netflix and have subscriptions to Acorn TV (British series for $4.99/mo), and temporarily CBS All Access. (for me, for The Good Fight and right now during the summer I’m binge-re-watching The Good Wife. I’ll drop All Access by the end of July, until The Good Fight comes back next March. It’s $9.99/mo to be ad-free.) PS Vue only costs us $39.99/mo for the package we chose; MUCH cheaper than DirecTV! This entry was posted in Uncategorized and tagged Laugh and Be Happy, Mighty Mouse, Sheriff John, TV, Zorro on June 21, 2018 by Silver Willow. What a lovely post. Good old Bonanza, though I enjoyed Rawhide, too. Ah, but Dr Kildare made my little eight/nine year old heart skip a beat or two – but then I also loved Mr Ed, the talking horse..! They don't make them like they used to. I look forward to your future posts. Way too much change to keep up in my life time. Yet I much prefer watching the up-to-date movies and TV shows than those from my younger days. Things were much simpler back then, including story lines and editing and special effects. I loved Bonanza and always dreamt I would have a house like the Ponderosa one day. I did not watch much TV,it was rationed and all the chores had to be done first. We grew all our veg and fruit and raised most of the meat that we ate. Fish was brown trout that had to be caught. I do remember MR Ed and tales of the Riverbank, there was twizzle and Torchy the Battery Boy. I watch more now, but it is really in the background while I knit or crochet. wouldn't that have been lovely?! Wow, having not lived on a farm, but having (distant) family who did, I can appreciate your rationale. Been a burbs girl/gal my entire life. Entirely different lifestyles indeed! We didn’t have Sheriff John but I can imagine that song in that time! We did have Zorro though. my first memory of TV is a small B&W screen with rounded corners. I was about 5 or 6 (I think, it was before we moved). Don't remember what I was watching but my father told me to go outside and play. when I protested because of what I was watching he told me the TV would always be there and so out I went. I was very upset when I came back in to finish what I was watching only to discover it was over. I guess I thought the show would pick up where it left off. Yes, we had much to learn. 🙂 Very cute story! I remember in the summer, we kids would play outside until it was dark. Never thought to watch TV when we could be playing together. I remember a neighbor across the street had the coolest, shady cascading waterfall in his backyard. We would set up a game of Monopoly on a card table, and four of us would play that game for days, trusting the money to stay right where it was for whenever we came back to it. Good memories. We dropped our land phone lines at least 5 years ago. We pay ATT $60/mo for internet connection. We love Roku and PS Vue, though! Certainly a deal at about $100 less per month than DirecTV was! Oh yes, I remember well all the shows you mentioned. Times sure have changed. We don't watch television anymore just Netflix. We had a tv back around 1949 – I was 3 (I'm old!). My father used to talk about watching tv back in the 1930's (and that is true tho probably tho I'm betting there was not a lot to watch). I'm from NYC so we probably had more stations than other places and way back when – so many shows were live and local! Once I can convince my husband to let go of the landline, I will be dropping Comcast for everything except internet. We already have Hulu, Netflix, Acorn, BritBox and Amazon. I'll switch to Hulu Live – we use a Roku box, have for so many years now and love it. We watch practically nothing on 'live' tv. The shows on television nowadays cannot compare with what we had back then. I loved Bonanza and had the worst crush on Little Joe. 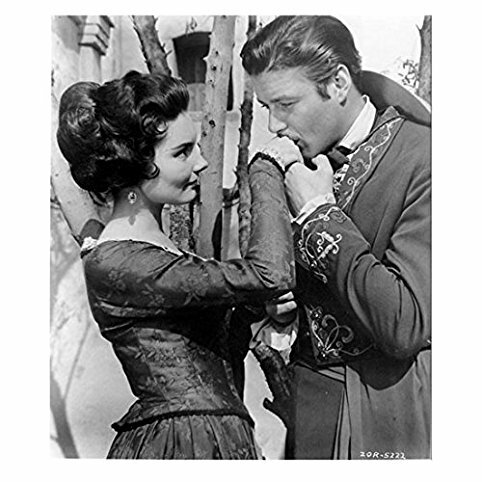 Each night when I went to bed I'd fantasize an entire story about he and I…and not as Michael Landon, but as Little Joe. This was a fun stroll through memory lane! I'm old enough to remember those days 🙂 But I kind of like where we are now! So much has changed. Growing up we had two channels only. Now I have a hundred times that and it seems as though there is nothing to watch much of the time. We didn't get TV in New Zealand until 1961 and only had one channel until the 70s. It's ridiculous how much has changed in our time! I hardly watch mainstream television now – it's all cloud based which means we now get everything up to date and not months behind everyone else. What great memories and what an evolution. I do remember Bonanza, those were the good old days! you should look into Acorn TV. Some GREAT British series! In many ways, they sure were! My lens are clouded a bit because my dad was an alcoholic for my later childhood years, but…. I keep trying to find some tv alternative that will give me PBS along with my other local channels and I can't find it. Wonderful to read your memories on the TV.There was no TV when I was a child and when it arrived I didn't really watch it too busy studying..
We can get Roku, but it's no longer free. For some reason PBS expects one to pay a $4.99/mo 'friends of' fee or something. We get most of the shows we want from PBS on Acorn, but will probably prescribe a few months a year for specific shows we love. you were clearly a better student than I. LOL No, I've always been mostly just an 'after dinner' TV viewer, except NFL Sundays and the occasional golf tournament on weekends. what a fun post reading all the memories!like you… we played outside til dark. then we had to go in. kids were in better shape!but then we didn't have to worry about being snatched up by any bad guys lurking!do you remember Sky King? I'm older though. so you might not. and I loved Hop Along Cassidy. Howdy Doody. Father Knows Best was a favorite. the Donna Reed Show and then Ricky Nelson. OMG. swoon city! LOL. Hi Jo! Thanks for dropping by! I DO remember the sign off at midnight; thanks for that memory jag! I remember most of the same old programs.We have also gone off cable/satellite for subscriptions such as Netflix, Britbox and Amazon. We had Acorn and will probably go back to it someday when we've caught up with Britbox. The problem with Acorn became what we weren't allowed to see in Canada. We'd click on something only to discover that it wasn't permitted. Thanks! I went and checked out Britbox. It's got some great stuff. Didn't see Doc Martin or Murdoch Mysteries though….not sure if we want to keep both it and Acorn though. hmmmmm….. I'm hooked on Perry Mason. What can I say? I adore him! Doc Martin is on ACORN.com. It's a cheaper subscription than Britbox (or at least was, haven't checked lately) and it's all Brit stuff. Murdoch might be there too or maybe netflix. I love this post! I was just thinking about Disney on Sunday nights and also about Sky King. I need to do a google search on that one! Enjoy!